While the 2014 MLB Draft was all about the pitchers, in 2015 the spotlight was on the shortstops. Teams selected shortstops with the top three picks as well as five of the top 12 selections in this year’s draft. We also saw teams committing for the long haul with four of the top 10 players drafted straight out of high school. Topping the class were Vanderbilt’s Dansby Swanson, selected by the Arizona Diamondbacks; LSU’s Alex Bregman, selected by the Houston Astros; and Lake Mary High School’s Brendan Rodgers, selected by the Colorado Rockies. Looking down the list, Houston also had the fifth pick while Boston and both Chicago teams had early selections this year. 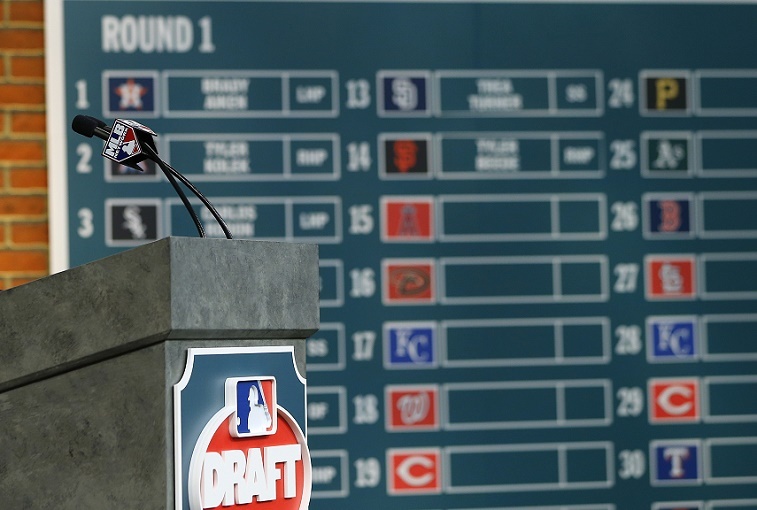 Here is a profile and brief scouting report on the top 10 picks in the 2015 MLB draft. Philadelphia chose the fourth shortstop in the top 10 when the club tapped Cornelius Randolph of Griffin High School at No. 10. Most scouts agree the 6-foot-1, 195-pound infielder will not remain at his position for long, with many expecting he will end up in the outfield where fielding will be less of a priority. Randolph hits left-handed and throws right. MLB.com’s Jim Callis noted it’s not a stretch to consider Randolph the top high school hitting prospect in the 2015 draft. Theo Epstein’s team in Chicago chose Ian Happ out of Cincinnati with the ninth pick. Splitting his time between second base and the outfield (both right and center), the switch-hitting Happ shows only some defensive polish but displays power from both sides of the plate. At 5-foot-11 and 205 pounds, he could develop into a slugging left fielder or second baseman if he improves his infield glove work, scouts told Baseball America. It was another great year for the Vanderbilt baseball program, as two of the top eight picks (including No. 1) were Commodores in 2015. Carson Fulmer. a 6-foot, 195-pound right-hander who was the team’s No. 1 starter, is headed to the White Sox organization if the two sides can work out a deal. Scouts note Fulmer’s power arm and curveball are his most attractive features, but some hesitate on his future as a starter because of his size. In that case, he could return to the bullpen, where Fulmer began his career at Vanderbilt. While some might say the 5-foot-10 Benintendi has limited potential in the big leagues, the Red Sox have shown that size is not always the key indicator of Major League talent (we present Dustin Pedroia as evidence). Besides the knock on his natural frame, no one has any problems with Benintendi’s ability. 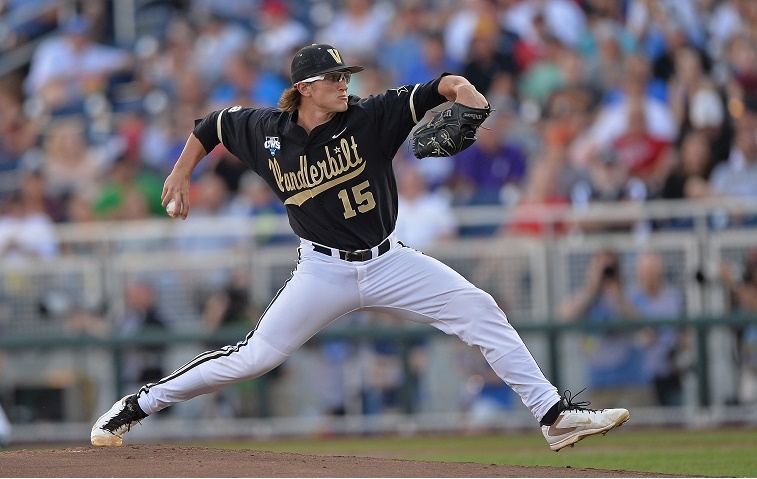 Jim Callis reported that many scouts consider him the best all-around college talent in this year’s draft. As a well-built, 6-foot-1 lefty reliever with great stuff, you might say Tyler Jay simply needs to stay healthy to have a long MLB career. There is always room for a power left-hander when the bullpen gates open, but Jay’s performance as Illinois’s closer made him an especially hot commodity in 2015. Though Minnesota might consider his future as a starter, it would be hard to ignore the potential for a mid-90s fastball and devastating slider Jay is said to possess. He could be the first of this class to debut on the big stage. With a 6-foot-4 frame and the most home runs in Plant school history, chances are Kyle Tucker will be following his brother Preston’s path to Houston’s big-league roster. Kyle currently weighs around 175 pounds and plays center field, but scouts see the 18-year-old slugger projecting more as a corner outfielder. Houston hopes it has another big score with its two top five picks in this year’s draft. Featuring a power arm and two “plus” off-speed pitches, UC Santa Barbara’s Dillon Tate had the potential to go No. 1, but Texas ended up nabbing him with the fourth overall pick. Listed at 6-foot-2 and 185 pounds, Tate began his career as a closer before switching seamlessly into a starter’s role. Scouts are waiting to see his development in his second year as a starter before delivering a verdict on Tate’s ideal role on the mound. Considered the top draft talent in the 2015 class, Brendan Rodgers of Lake Mary High School has the size and power to give Rockies management visions of the next Troy Tulowitzki. Listed at 6-foot-1 and 200 pounds, some scouts see Rodgers’ potential as a third baseman if he cannot maintain his range through maturity. In any event, his power seems made for Coors Field. According to a report in USA Today, Rodgers made sure to hit for scouts during a visit earlier in 2015 despite his Lake Mary game being rained out. (His coach said the scouts might never return.) In an impromptu batting practice session, Rodgers hit 19 of 35 pitches for home runs, and the rest is history. Houston took two position players with its top five picks, selecting Alex Bregman out of LSU with the No. 2 selection overall. Quick at short with excellent reflexes and a strong arm, scouts see the 6-foot, 185-pound right-hander with a path to the majors at short, though there is a chance he could end up at second base. Bregman impresses scouts with his all-around game that includes excellent base-running skills. 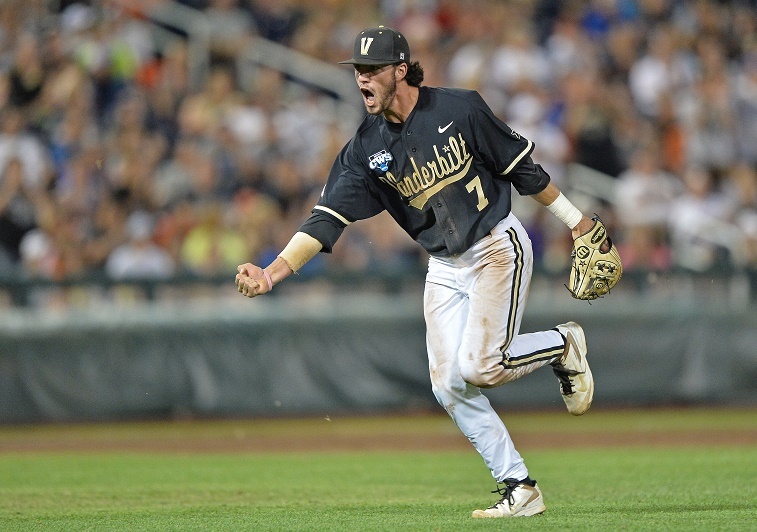 Though Dansby Swanson helped Vanderbilt win a national championship at second base in 2014, the Commodores had their star player move to short in 2015. Reports indicate he made the transition seamlessly and continues to rake at the plate while flashing fine glove work in the field. Scouts see a professional makeup in Swanson, who has a mature approach at the plate and some power in his stroke. Unlike many of the prospects on this list, Swanson will likely stay a shortstop when he breaks in with an MLB club. Sources: MLB.com and Baseball America reporting on prospects.